Warm Farrow Salad, Chive Emulsion, Mustard Creme Fraiche … Chef Matt’s offering for this evening. 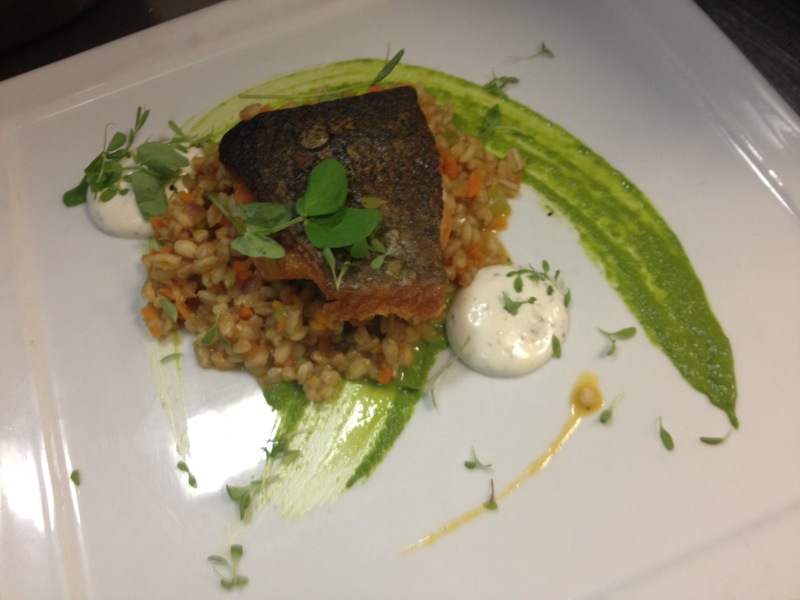 This entry was posted on September 8, 2012 at 9:21 pm and is filed under Chef with tags Coho Salmon. You can follow any responses to this entry through the RSS 2.0 feed. You can leave a response, or trackback from your own site.